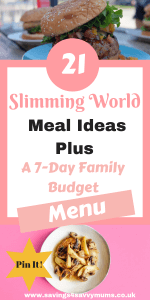 If you have no idea how to start planning your Slimming World family meals on a budget then you aren’t alone. Many of us want to eat healthy meals and just don’t have time to cook a separate meal for the kids. 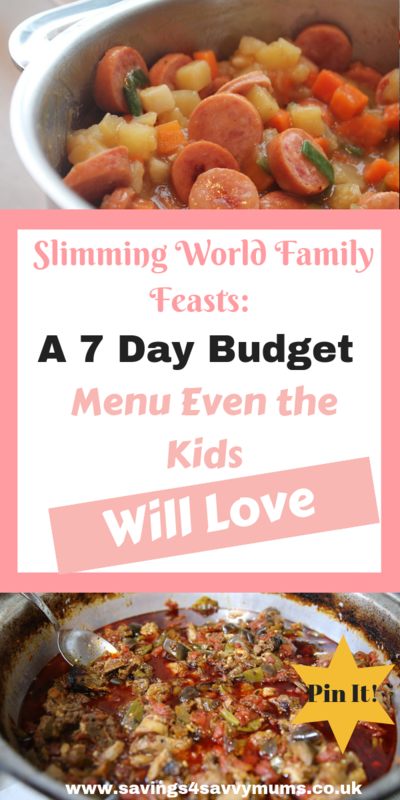 This Slimming World 7 day budget menu is as ‘cheap as chips’ and shows that eating healthily doesn’t mean mega money or just salad! 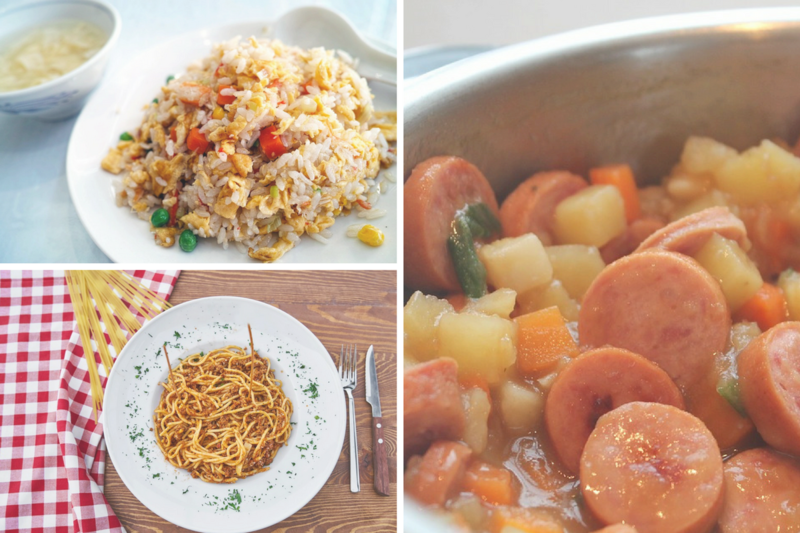 These are all quick and easy recipes that don’t cost the earth and that your kids will love too. Meaning you only have to cook one meal and know that your family are eating well while it’s costing you less. Win! If you’re worried about buying groceries while on Slimming World, or think that the plan can’t work for the whole family then use these 5 tips below to keep your shopping bill down. 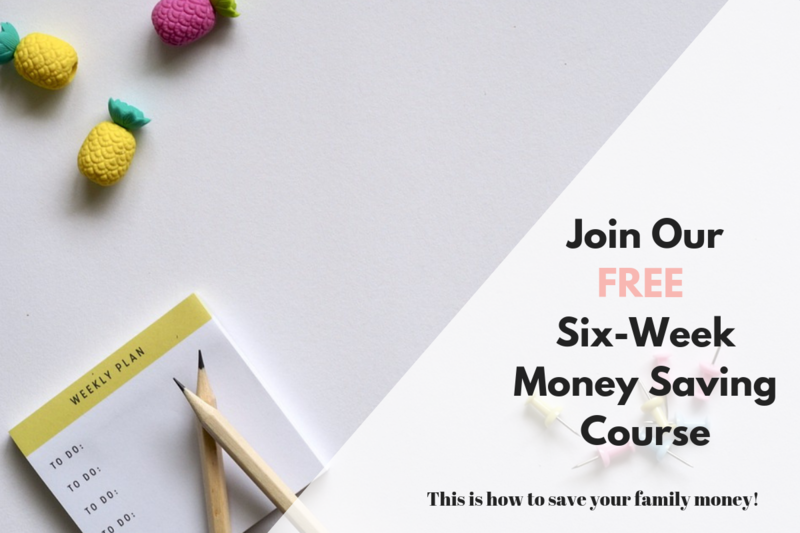 Join our FREE saving money help in our Money Saving Mums Facebook group.Our safe community of parents are all in the same boat as you. Becoming debt free isn’t easy but together we can all help each other. Use money managing apps like Plum to keep your shopping bill under control. Using an app like Plum* can really help you keep your money in check. Plum* can help you build up your savings while showing you exactly where your money is going. Join our FREE six-week money saving course that can help you save up to £300 a month. Come join us now! 4. Go through all your bills and check you’re on the best deal. This should be done at least every 6 months. We all know we should be doing it regularly and it really can save you money. If the whole idea fills you with dread then have a look at Bulb*. They make switching really simple, promote going green and also offer you a bonus when you switch. Use cashbacks if you shop online for anything. We recommend Quidco*and Swagbucks*.You get money off whenever you shop online through their sites which can really come in handy once baby is born. Slimming World shopping can really be done in any supermarket but we favour shopping at Aldi. Having Slimming World meal plans to hand is one way to keep yourself and your family on track while not overspending. 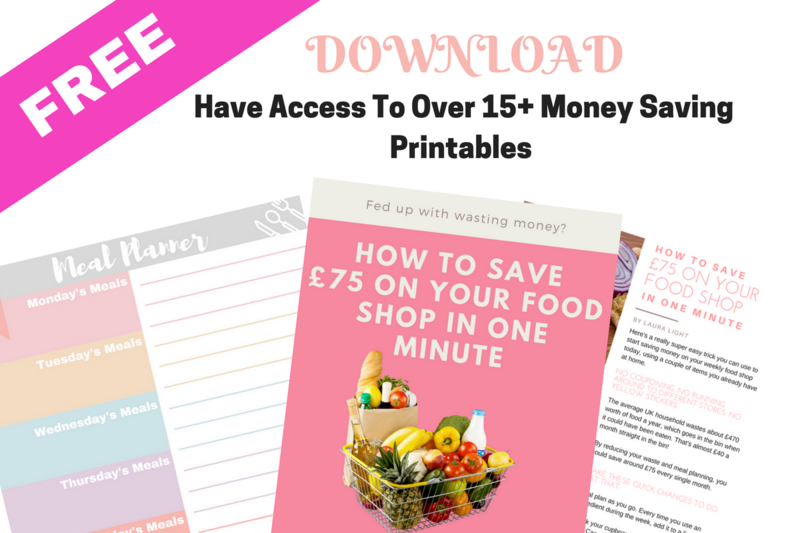 Come join our Facebook group Money Saving Mums and get access to The Resource Vault with access to over 15+ money saving printables. Everything is included from budget planners to meal plans and pre-made shopping lists plus a link to our Money Saving Mums Facebook group! Click here for 69 Slimming World Packed Lunch Ideas for the Whole Family. 1. Work out your first shop by using our Aldi Slimming World shopping list as a guide. Check your fridge, freezer and cupboards and check off what you already have. Use these if you need breakfast, lunch or dinner recipes for the whole family. 3. Try and get into a routine. If you know you’re bad in the mornings then plan the night before. Use one of our leftover packed lunch ideas below so you can fly out the door. 4. Use the Slimming World book to really get your head around Free Food and Speed Food. This will help you get the balance right. 5. Trust the plan. It does seem like you’re eating a lot but if you stick to it then you’re eating a great variety of food that can help you lead a healthy lifestyle. Give it time. If you’re looking for an example of what a family Slimming World meal plan looks like then we have one below. These and the shopping list are for four, two adults and two children unless stated. All meals can be frozen or bulked up for more people. Most can also be made in advance if you know you’re going to be in late. All of the below shopping list can brought at Iceland or at any discount store. Frozen mixed summer fruits (raspberries, strawberries and blackberries) covered in fat free natural yogurt. Sliced banana topped with a syn free Mullerlight yogurt. Slimming World quarter pounder burger from Iceland with a salad. Fried breakfast using Frylight: 6 eggs, 6 Slimming World sausages, 6 bacon medallions, 8 cherry tomatoes, 6 mushrooms and 2 tins of baked beans. This shopping list makes the above meal plan for four people. It’s a budget shopping list but can help if you need to keep your food bill low for a month.